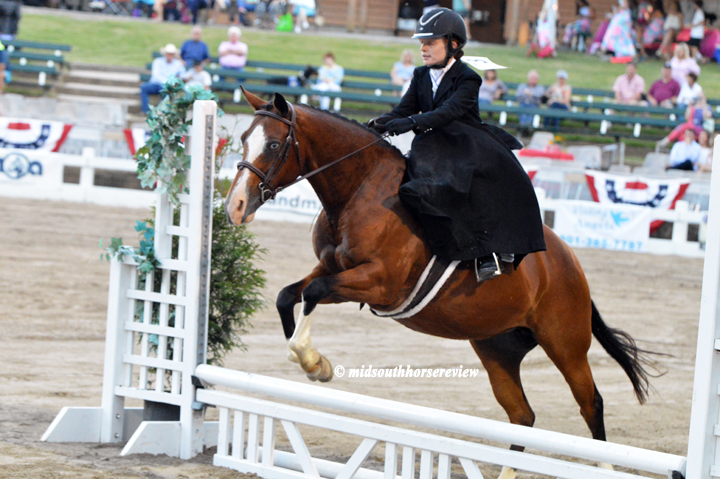 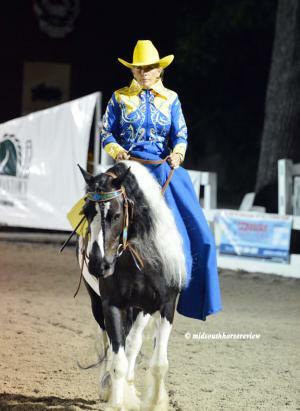 Sidesaddle riding is returning in popularity in the mid-south, with sidesaddle classes featured at the Germantown Charity Horse Show (GCHS). 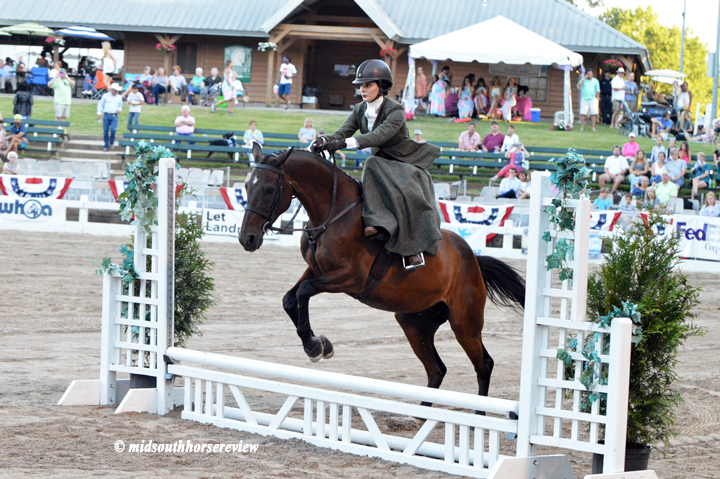 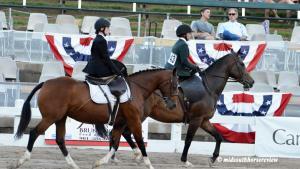 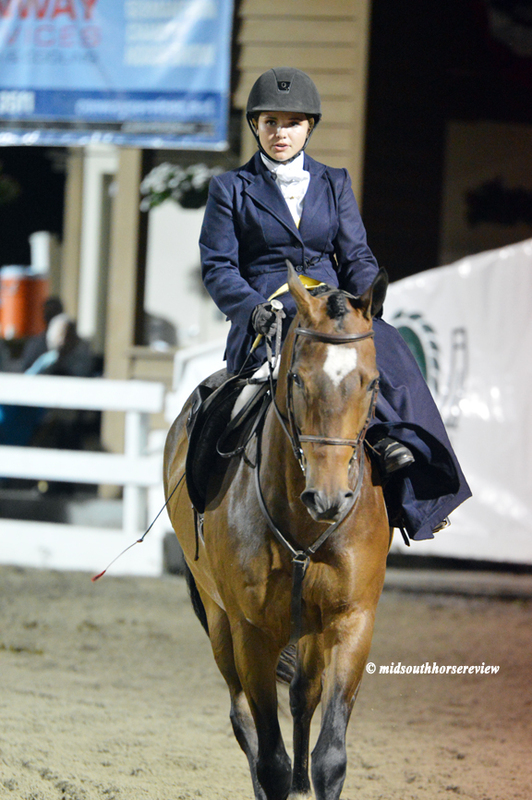 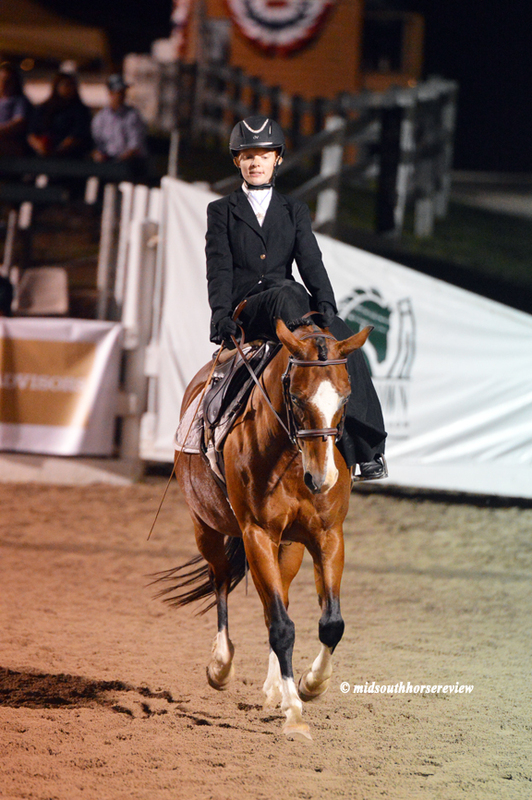 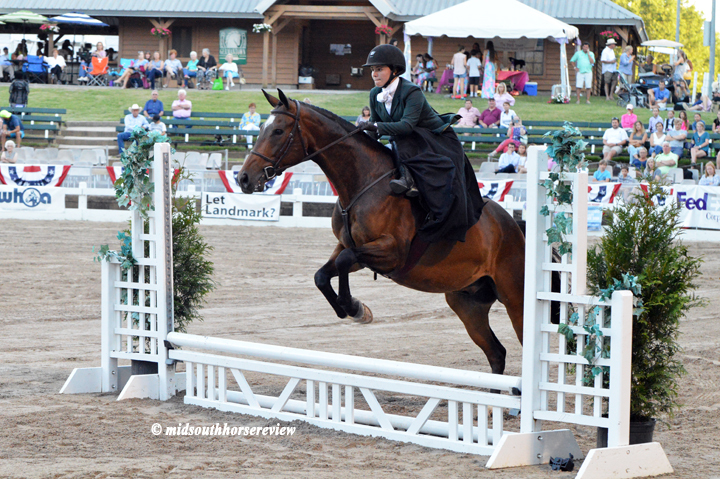 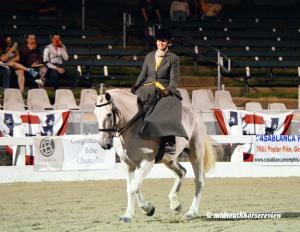 In fact, the GCHS is one of the major shows on the American Sidesaddle Association’s agenda. There were sidesaddle classes each night of the show, and Wednesday night’s Sidesaddle Hunter Hack including jumping sidesaddle. 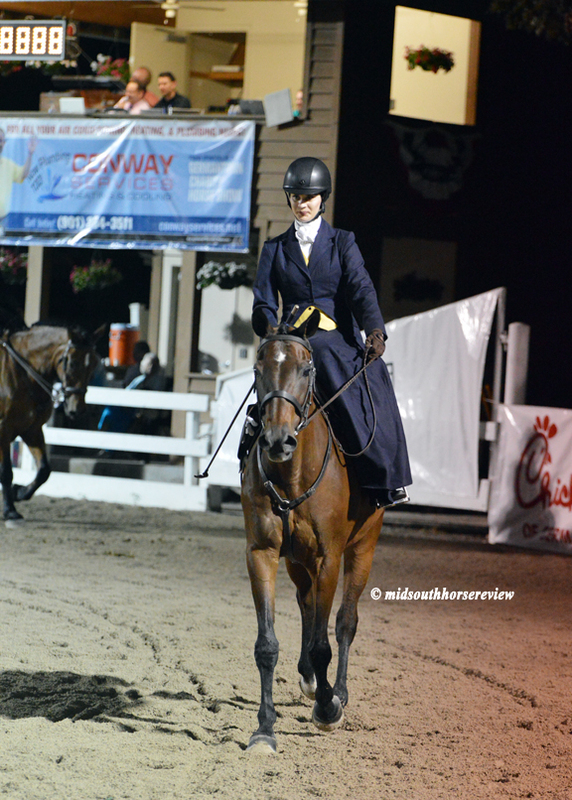 On Tuesday night, Samantha Reeves and Pixie Dust were the winners of the Open Sidesaddle Walk/Trot class, followed by Paulett Stoudt on GB Cushti Bok Baby in second and Laura Lawson in third on Galeah. 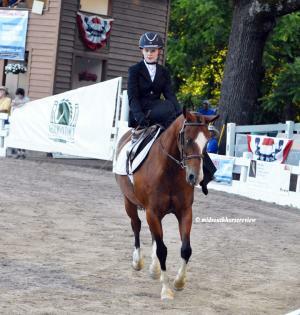 In Tuesday’s Open Sidesaddle Walk Trot Canter class, Paulett Stoudt took top honors aboard GG Oz The Wizard, with Laura Lawson and Galeah in reserve. 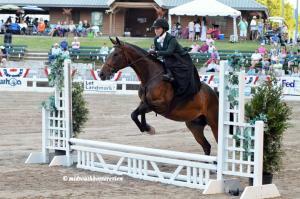 Samantha Reeves and Pixie Dust were third. 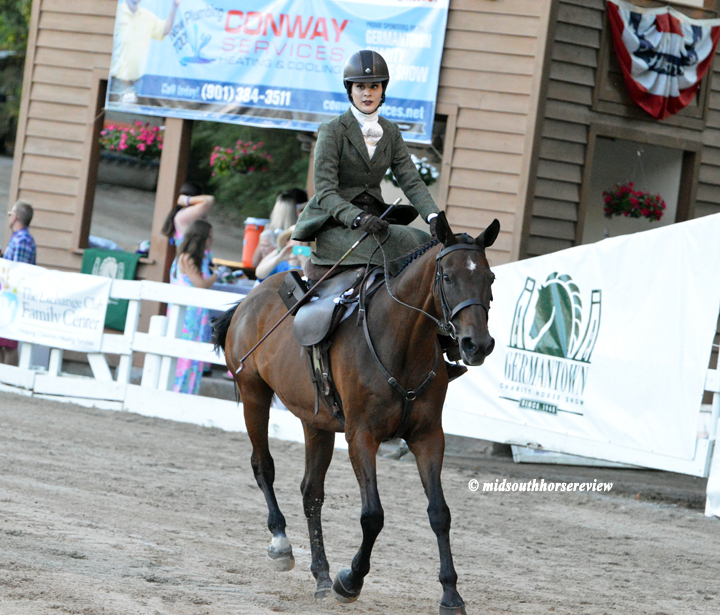 In Wednesday’s Opportunity Hunter Hack, Laura Lawson and Galeah took top honors, with Samantha Reeves and Pixie Dust in second. 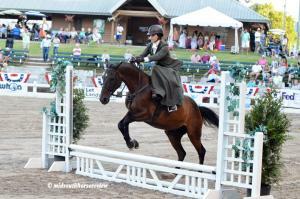 Kayla Benson, riding Oak View Encore, was third.